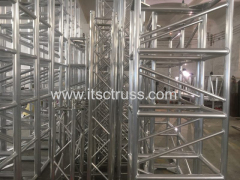 Infinity Truss & Stage Co., Limited is one of the most reliable and professional manufacturers in China for Aluminum Lighting Trussing, Aluminum Mobile Stages, Arena Stands and other Stage Equipments. 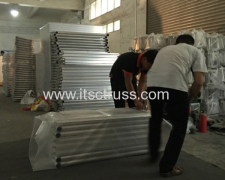 It was registered on Nov.25, 2011, and headquartered in Baiyun Dist, Guangzhou, nearby Baiyun Airport, which is very convenient to come to visit. 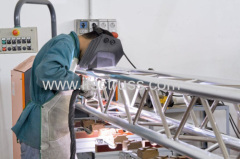 Our main products include Aluminum Trussing, Lighting Trussing, Stage Trussing, Aluminum Stages, Arena Stands, Steel Scaffolding Towers and Aluminum Scaffolding Tower, Barricades as well as other Stage Equipments. 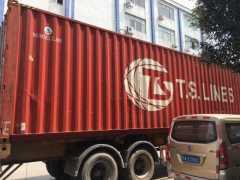 Our products have been exported to USA, India, Malaysia, Singapore, Thailand, Trinidad and Tobago, Argentina, Kazakhstan, Maldives, Saint Kitts and Nevis, Turks andCaicos Islands, Kenya, Indonesia, Philippines, Krea, ect. 4. 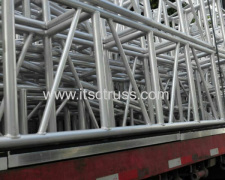 Supporting trusses and stages projects for Mask Singers and Good Voice from Thailand.